Wulan joined Binus University International in 2008 as Student Affairs Coordinator. Her scope of work and responsibility include managing and supervising students’ non-academic activity, rendering counseling services and facilitating community development programs. In 2011, Wulan also joined the International Business program and delivered subjects with ethics and human-behavior relevance. As a seasoned clinical psychologist with years of experience working for national and international humanitarian agencies, Wulan continues to express her strong interests in engaging herself with social causes in non-profit sectors. Specializing herself in crisis intervention and trauma recovery, in 2011, Wulan co-established an NGO named Lentera Sintas Indonesia to provide psychological assistance for victims of sexual violence. Wulan has also exercised her diplomacy skills by joining Indonesian delegates in Track II Diplomacy programs for non-state actors to New Zealand and MIKTA [Mexico, Indonesia, Korea, Turkey & Australia] Middle Power Countries Assembly. Currently, Wulan is enrolled in a PhD program with University of Indonesia majoring in Political Psychology. In her spare time, she enjoys networking with a wide range of communities and volunteering for causes. 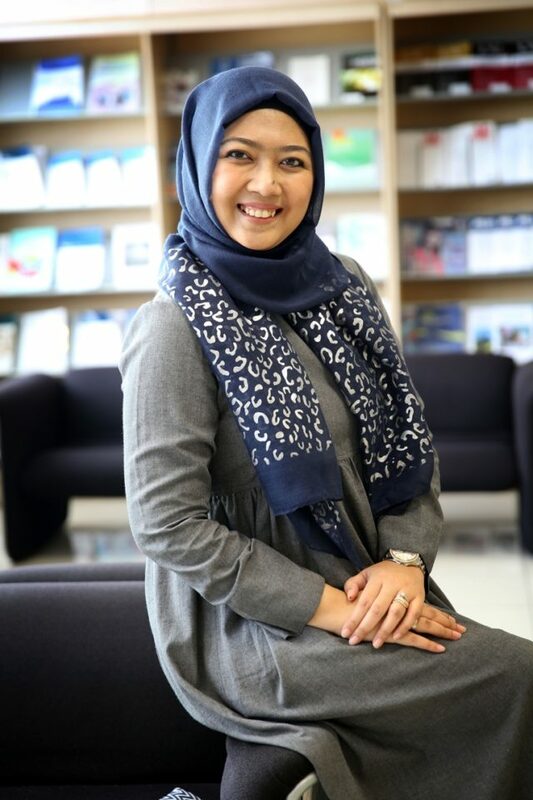 In relevance with her dissertation research, Wulan’s focus includes belief superiority, non-violent extremism, political narratives and peace building initiatives. Wulandari, R., Kristopo, H., and Amelia, A. (2018). Social Identity Conflict & Inclusion In Indonesian Films – Portrayals of Diverse Communities, presented at the International Conference on Language, Literature, Culture, and Citizenship (IC2L2C), Jakarta, 2018. Indonesia. Wulandari, R., and Amelia, A. (2017). The compliance of documentary films with ethical standards: The case of ‘Nikah Muda, Malu Dong ‘ON’, and Markonah’, presented at the International Conference on Productivity and Sustainability in Social and Behavioral Studies (ICSBS), Jakarta, 2017. Indonesia.